The Borough of Pottstown recently received a $2,000 Trail Towns and Tours Grant from the Schuylkill River Heritage Area (SRHA). Pottstown resident and biking and greenway advocate, Tom Carroll, and I have been retained by the Borough to implement this grant, and this blog post is meant to kick off that process and give some details about how it will work. Along the way, we’ll keep the community informed via this blog. For a good summary of the purpose of the grants, see Evan Brandt’s article from January 29th here. 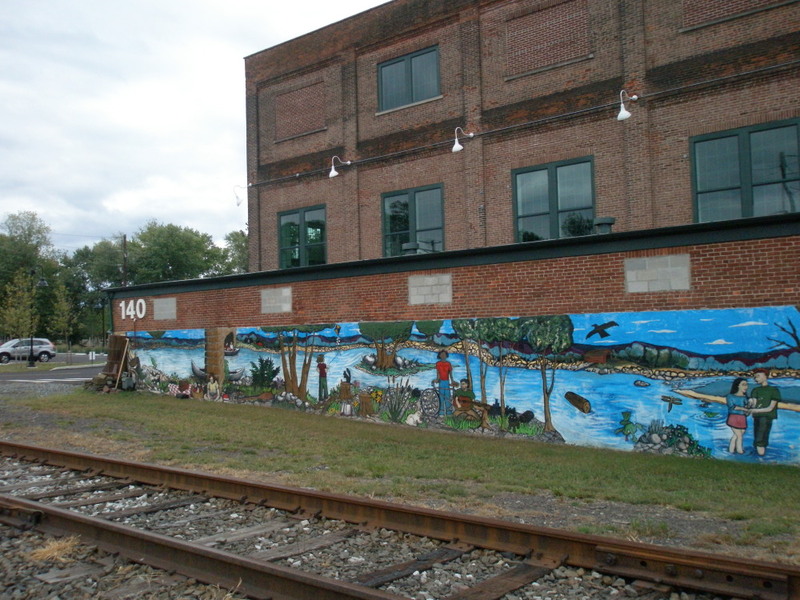 The Trail Towns and Tours Grant is to be used to create a 30-page Heritage Action Plan (HAP) by the end of April 2011. It’s a deliberately short time frame in order to get results and for the SRHA to meet the William Penn Foundation’s time limits for spending the funds. 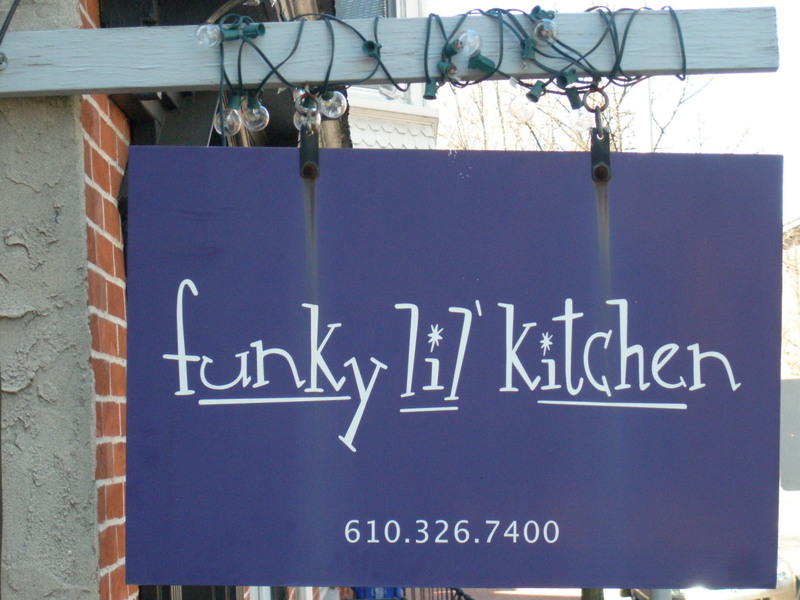 The overall intent of creating the HAP and going through a planning and consensus-building process (however quick) is to identify and leverage existing cultural resources, market Pottstown as a heritage destination, and get Schuylkill River Trail users (and other visitors) into the downtown to spur economic activity. Just as important will be the chance to develop and formalize solid working partnerships among individuals, organizations and businesses committed to promoting downtown Pottstown. This is what we’ve all been talking about for quite a while, and this grant gives the community a chance to try it out – working together and presenting a new image to potential visitors, outside governmental agencies and funders, as well as residents themselves. 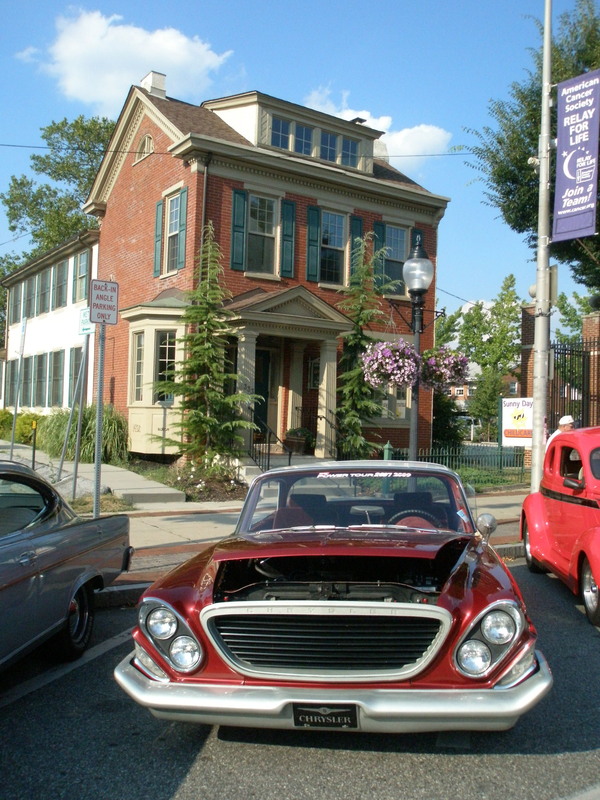 It should be noted that heritage tourism IS economic development, but that it should be considered just one prong of a multi-pronged economic development strategy for Pottstown. 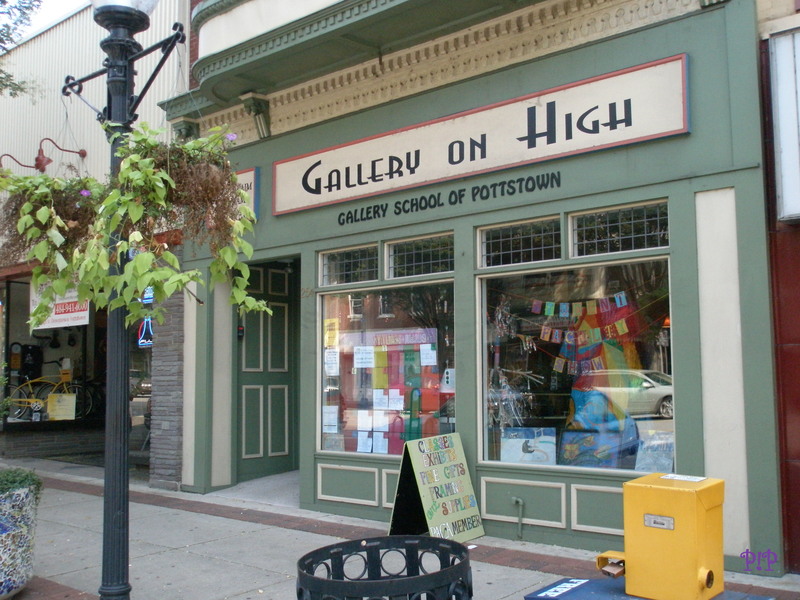 There is still plenty of room to develop and promote Pottstown as an arts community, or one that values and hosts sustainable technology companies, or whatever other approach comes out of other visioning/planning efforts. So, what is a heritage or cultural resource? I’ll just give a few examples: the River and its trail; historical architecture, markers & walking tours in the downtown; arts organizations; restaurants, including “heritage eateries,” such as The Very Best and the diner; the Historical Society; The Hill School; Pottsgrove Manor; Riverfront & Memorial Parks; a completed Carousel & mini-golf, etc. Visitors want an authentic experience when they decide on a destination and how to spend their money. Pottstown has loads to offer and the point of this grant is to identify and package it all in a way that will appeal to these visitors. Another key part of this planning process will be looking at what needs to be done to make it very easy for people biking or hiking on the Trail to know what’s available in town and then actually direct them off the trail and safely to High Street. This whole approach is based on the idea of making the Pottstown Business Loop – a stretch of High Street – an official part of the River Trail, since it’s unlikely a right-of-way along the river will be available from Norfolk Southern anytime soon. We’ll be helped along in this process by using what’s known as the Heritage Towns and Tours Toolkit, provided by the SRHA and created by their consultants, Peter Johnston & Associates of Easton, MD. From a planning perspective, this Toolkit is just amazing, allowing communities (& consultants, I might add) to dive in where they might otherwise be totally intimidated. The Toolkit lays out a step-by-step process to create a HAP with the rationale, forms and examples that make it seem do-able. Even better is that the SRHA grant comes with $5,000 worth of consulting services from Peter Johnston & Associates. They will be in Pottstown at least once for a 3-4 hour workshop to help us work our way through the Toolkit. We’ll also have support from the SRHA staff, who are right around the corner at 140 College Drive. 1. Organize & Plan – What do we want for our community as a heritage destination? Form Useful Partnerships; Create a Vision & Goals, and Define Partner Expectations. 2. Identify & Assess – What do we have to offer as a heritage destination? Identify Heritage Resources; Assess Heritage Resources; and Bring People and Ideas Together. 3. Market & Improve – What do we need to market our community and what has already been done? Create an Image; Market Your Community; Improve Effectiveness. 4. Protect & Manage – How do we get there? Build Public Support, Look at Ordinances & Other Regulations, Make Any Recommendations That Will Help Protect Resources. 5. Prepare & Implement – How to complete the Heritage Action Plan? The HAP will then be used to make another application to the SRHA for $25,000 in implementation funding to carry out the top priorities in the Plan. Those activities must be completed by May 2012. The next step for Tom and me is to get in touch with folks from an initial list of local “Partners,” inviting them to participate in the process and start filling out a Partnership Form from the Toolkit. Please give me a day or so to get that email out. We invite others who want to participate to get in touch with us at PtownHAP@gmail.com. Obviously, I think there’s a lot of potential here to get some solid forward movement on the economic development front. I appreciate the Borough giving Tom and me the chance to work on the project and rally the community around common goals – an improved local economy, stronger partnerships and more positive exposure and marketing of all that Pottstown has to offer. The answer is cold fusion fish and chips-do I win the $2000 prize? Jeff, I don’t know why I approved this comment, but thank you for playing our game! Great idea Sue. Perhaps the historic churches could be considered in the plan too. Pottstown’s rich cultural past is captured so dramatically in its historic churches, examples being the South End churches of Holy Trinity and St. John’s. They are architectural gems in themselves and should not be missed. Any heritage walk would be welcome to swing by the southeast corner of High and Charlotte! Thanks, Ben – I’ll be in touch. The Farmers’ Market should definitely be a “partner” in this endeavor. Sue, what about some of the great buildings that still stand but appear to be abondoned or just plain blighted? Would there be a way to have an investors tour of those properties as a second phase of partnership – an ‘if you can dream it you can change it’ kind of tour. Once you solicit business/commerical partners perhaps this would be an organized way to get them to invest just a little more to create a more prosperous town for their initial investment? Again, right on…gotta start somewhere!! Hey, Steph – that’s a good idea but outside the scope of the Towns & Tours grant. Seems to me that would be something for PAID or the Main Street program to do to market available properties. Not a pipe dream at all! Sue, I am interested in your use of the word “retained.” Are you and Tom working as volunteers on this project, or are you being paid by the borough in some way? We’re being paid out of the grant money, which was intended for the administrative costs to carry out the planning process and compile/write the ~30-page Heritage Action Plan. This will also include any additional grant writing needed to apply for the $25K in implementation funds.